Itâ€™s good to know that QuickBooks can now be compliant to the Defense Contract Auditing Agency. Within a phone call or two, you can have the QuickBooks system up and running. 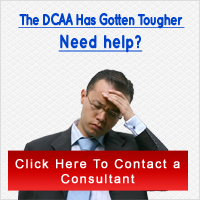 You will need to contact a third-party to align your QuickBooks to be DCAA Compliant, but it is well worth it â€“ anything that eases the pressures of DCAA compliance helps. Once you determine your contract type, fixed-priced, â€œcosts,â€ or initial contract, you will be able to let your QuickBooks consultant know what you need done. If you donâ€™t know exactly what needs to be done to become QuickBooks DCAA Compliant, donâ€™t worry, these individuals know what needs to be done according to contract type.